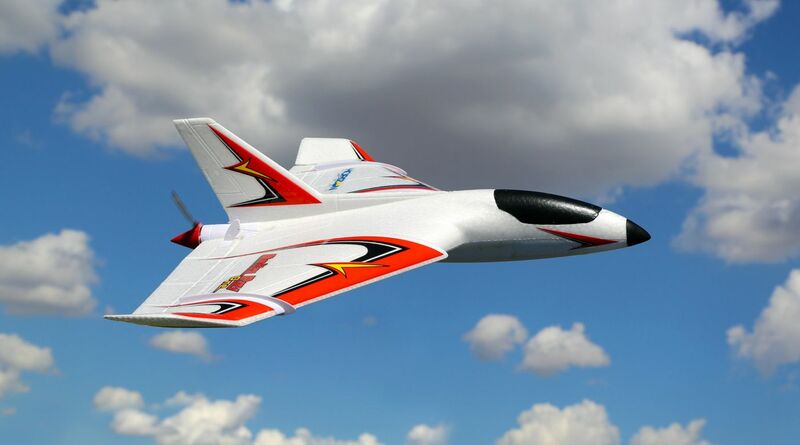 Experience modern technologies, advanced aerodynamics and defy the traditional with the E-flite Delta Ray One airplane. Featuring exclusive SAFE technology and the option to add SAFE Plus GPS-enabled technology, it’s the one ANYONE can learn to fly! 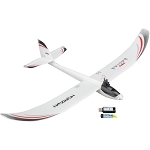 This RTF (Ready-To-Fly) version includes a transmitter equipped with Spektrum DSMX® 2.4GHz technology and everything else you need to fly including AA batteries for the transmitter, a rechargeable lithium polymer battery for the airplane and a charger. 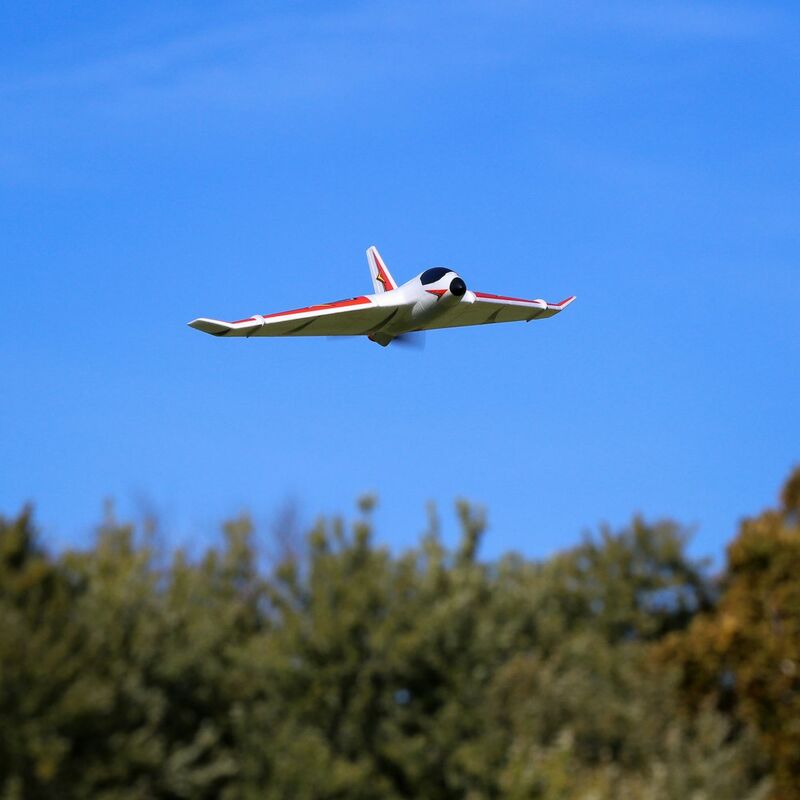 That means there’s nothing extra to buy or provide, and because the airplane arrives completely assembled and ready to fly right out of the box, all you need to do is charge the battery and start flying! 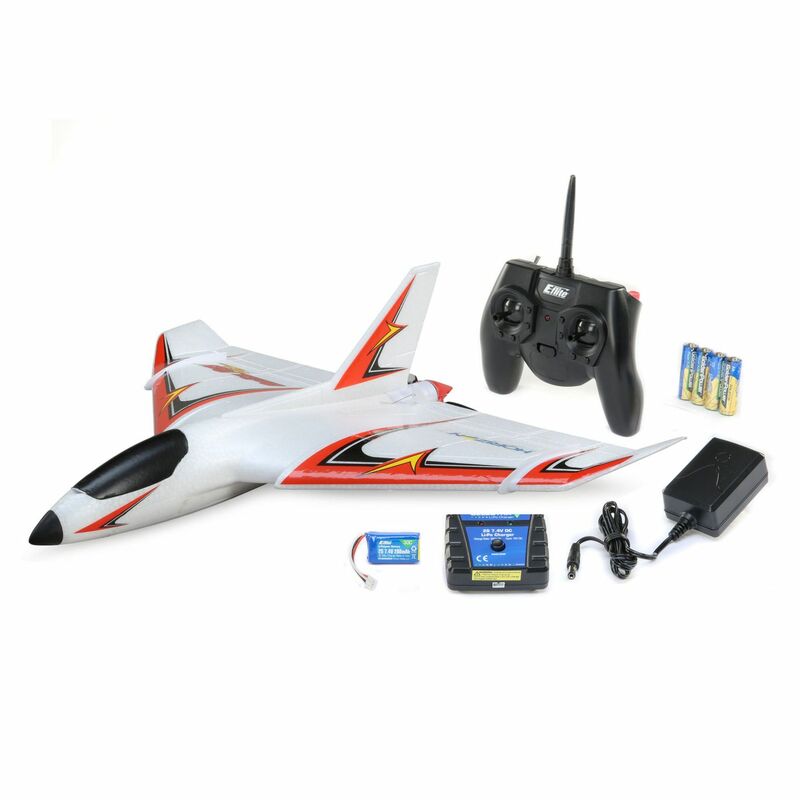 In this flight mode, the Delta Ray One airplane has limited pitch and bank angles that prevent over-control. When the sticks are released, the aircraft automatically returns to level flight allowing you to relax and enjoy just ‘steering’ the airplane through the sky. Higher pitch and bank angle limits are allowed and no self-leveling is active. Self-leveling can be activated by switching to Beginner Mode and releasing the sticks. No pitch and bank angle limits or self-leveling. You can even fly inverted (upside down) and perform aerobatic maneuvers including loops, rolls and more. Self-leveling can be activated by switching to Beginner Mode and releasing the sticks. 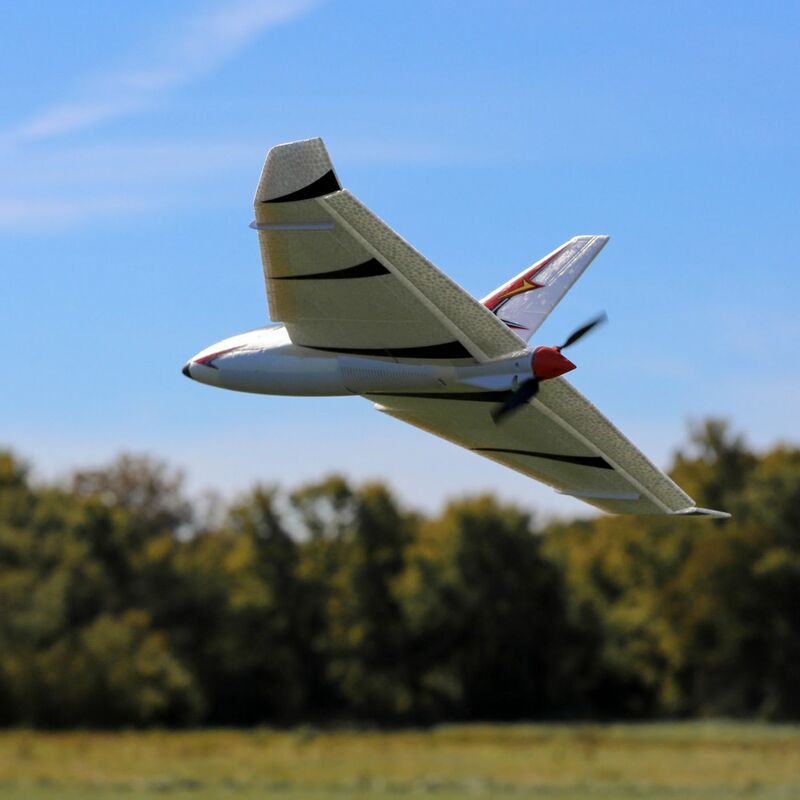 When activated after holding down a button, the advanced AutoLand function puts the Delta Ray One airplane on a stabilized approach to autonomously land near the GPS initialization point. 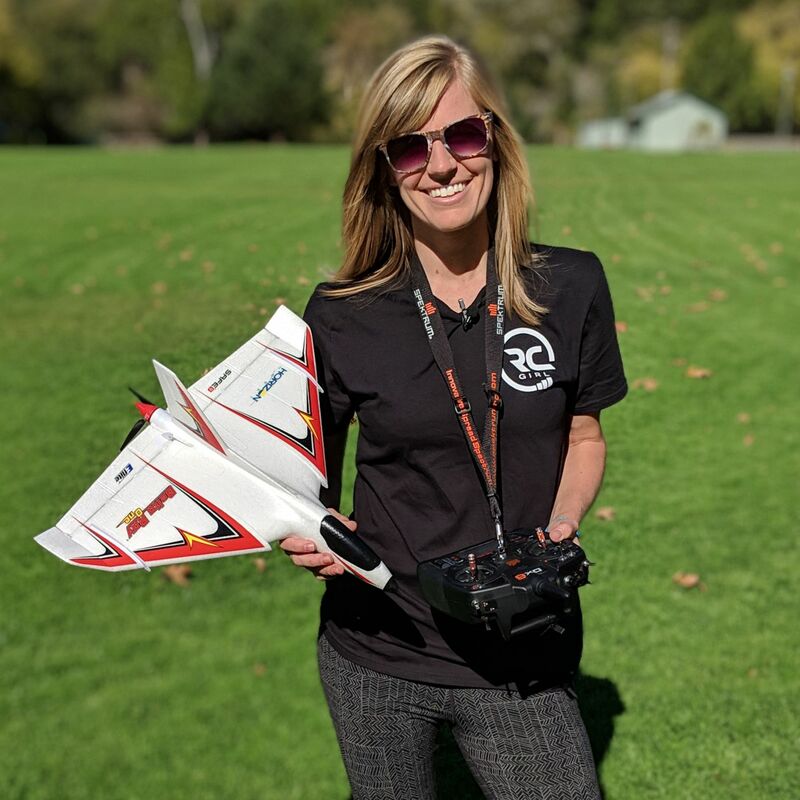 You can even provide some directional guidance to avoid obstacles or to adjust the approach while letting the system do the rest to execute a safe landing. As your skills progress and you gain more confidence you can take over more of the control inputs, eventually learning to land without any assistance from the automated system at all. This very helpful SAFE Plus exclusive feature lets you essentially "pause" the flight by putting the airplane into a GPS-guided holding pattern. 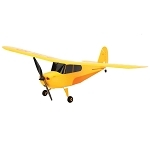 When activated after the quick press of a button, the airplane will automatically return to a position above the GPS initialization point and circle until the command is cancelled with another quick press of a button. It's a great way to safely hand the controls to a friend or to regain visual contact if you ever lose sight of the model.